Not to be confused with Bedoon (ethnicity) or Baudouin of Belgium. The Bedouin (/ˈbɛdᵿ.ɪn/; Arabic: بَدَوِي badawī) is a recent term in the Arabic language that is used commonly to refer to the people (Arabs and non-Arabs) who live, or have descended from tribes who lived, stationary or nomadic lifestyles outside cities and towns. The term contrasts against 'Hathar' ("حضر") which refers to the city or town dwellers in the Arabic language. Bedouin means "Badiyah dwellers" in the Arabic language, as 'Badyah' means literally the visible land (the desert). The Bedouins identify themselves as Arabs or by the names of their tribes. City dwellers in Arabia who descended from known tribes refer to themselves as Bedouins to recognize their native origin to Arabia. The term has lost exact meaning; it is sometimes used in racial profiling, and it is commonly mixed with another term "A-araab" "" which is mentioned in Quran in reference to unruly tribesmen who do not follow the lifestyle codes of bedouin tribes or city dwellers. Bedouin territory stretches from the vast deserts of North Africa to the rocky sands of the Middle East. They are traditionally divided into tribes, or clans (known in Arabic as ʿashāʾir; عَشَائِر) and share a common culture of herding camels and goats. The Bedouin form a part of, but are not synonymous with, the modern concept of the Arabs. Bedouins have been referred to by various names throughout history, including Qedarites in the Old Testament and Arabaa by the Assyrians (ar-ba-a-a being a nisba of the noun Arab, a name still used for Bedouins today). They are referred to as the Araab (أعراب) in the Koran. While many Bedouins have abandoned their nomadic and tribal traditions for modern urban lifestyle, they retain traditional Bedouin culture with concepts of belonging to ʿašāʾir, traditional music, poetry, dances (like Saas), and many other cultural practices. Urbanised Bedouins also organise cultural festivals, usually held several times a year, in which they gather with other Bedouins to partake in, and learn about, various Bedouin traditions—from poetry recitation and traditional sword dances, to classes teaching traditional tent knitting and playing traditional Bedouin musical instruments. 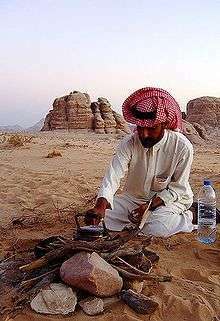 Traditions like camel riding and camping in the deserts are also popular leisure activities for urbanised Bedouins who live within close proximity to deserts or other wilderness areas. 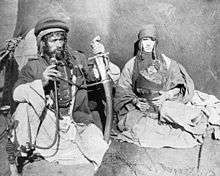 The term "Bedouin" derives from a plural form of the Arabic word badu. The Arabic term badu (بدو) literally translates in Arabic as "Badiyah dwellers." The word bādiyah (بَادِية) means visible land such as "plain" or "desert". The term "Bedouin" therefore means "those in bādiyah" or "those in the desert". In English usage, however, the form "Bedouin" is commonly used for the singular term, the plural being "Bedouins", as indicated by the Oxford English Dictionary, second edition. The term "Bedouin" also uses the same root word as the Arabic noun for "the beginning"; "بداية"; "Bedaya." The Arabs believe the Bedouins to be the predecessors to the settled Arabs,[notes 1] and the word for the ethnicity itself may be influenced by that. A widely quoted Bedouin saying is "I am against my brother, my brother and I are against my cousin, my cousin and I are against the stranger" sometimes quoted as "I and my brother are against my cousin, I and my cousin are against the stranger." This saying signifies a hierarchy of loyalties based on proximity of kinship that runs from the nuclear family through the lineage, the tribe, and, in principle at least, to an entire genetic or linguistic group (which is perceived to have a kinship basis). Disputes are settled, interests are pursued, and justice and order are maintained by means of this frame, according to an ethic of self-help and collective responsibility (Andersen 14). The individual family unit (known as a tent or gio bayt) typically consisted of three or four adults (a married couple plus siblings or parents) and any number of children. The largest scale of tribal interactions is the tribe as a whole, led by a Sheikh (Arabic: شيخ‎‎ šayḫ, literally, "old man"). The tribe often claims descent from one common ancestor—as mentioned above. The tribal level is the level that mediated between the Bedouin and the outside governments and organizations. Distinct structure of the Bedouin society leads to long lasting rivalries between different clans. Livestock and herding, principally of goats and dromedary camels comprised the traditional livelihoods of Bedouins. These two animals were used for meat, dairy products and wool. Most of the staple foods that made up the Bedouins' diet were dairy products. 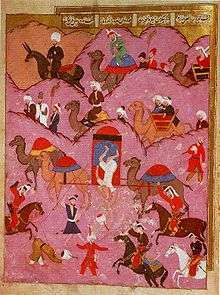 Camels, in particular, had numerous cultural and functional uses. Having been regarded as a "gift from God", they were the main food source and method of transportation for many Bedouins. In addition to their extraordinary milking potentials under harsh desert conditions, their meat was occasionally consumed by Bedouins. As a cultural tradition, camel races were organized during celebratory occasions, such as weddings or religious festivals. Oral poetry was the most popular art form among Bedouins. Having a poet in one's tribe was highly regarded in society. In addition to serving as a form of art, poetry was used as a means of conveying information and social control. Under the Tanzimat reforms in 1858 a new Ottoman Land Law was issued, which offered legal grounds for the displacement of the Bedouin. As the Ottoman Empire gradually lost power, this law instituted an unprecedented land registration process that was also meant to boost the empire's tax base. Few Bedouin opted to register their lands with the Ottoman Tapu, due to lack of enforcement by the Ottomans, illiteracy, refusal to pay taxes and lack of relevance of written documentation of ownership to the Bedouin way of life at that time. 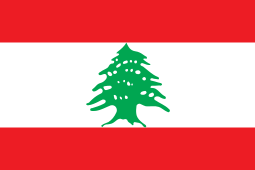 At the end of the 19th century Sultan Abdülhamid II settled loyal Muslim populations (Circassians) from the Balkan and Caucasus among areas predominantly populated by the nomads in the regions of modern Syria, Lebanon, Jordan, Israel and Palestine, and also created several permanent Bedouin settlements, although the majority of them did not remain. 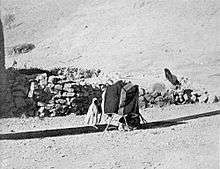 In the late 19th century, many Bedouin began transition to a semi-nomadic lifestyle. One of the factors was the influence of the Ottoman empire authorities who started a forced sedentarization of the Bedouin living on its territory. The Ottoman authorities viewed the Bedouin as a threat to the state's control and worked hard on establishing law and order in the Negev. During World War I, the Negev Bedouin fought with the Turks against the British, but later, under T. E. Lawrence's assist, the Bedouins switched side and fought the Turks. Hamad Pasha al-Sufi (died 1923), Sheikh of the Nijmat sub-tribe of the Tarabin, led a force of 1,500 men who joined the Turkish offensive against the Suez Canal. Governmental policies pressing the Bedouin have in some cases been executed in an attempt to provide service (schools, health care, law enforcement and so on—see Chatty 1986 for examples), but in others have been based on the desire to seize land traditionally roved and controlled by the Bedouin. In recent years, some Bedouin have adopted the pastime of raising and breeding white doves, while others have rejuvenated the traditional practice of falconry. Although the Arabian desert was the homeland of the Bedouin, some groups have migrated to the north. It was one of the first lands inhabited by the Bedouin outside the Arabian desert. Today there are over a million Bedouin living in Syria, making a living herding sheep and goats. The largest Bedouin clan in Syria is called Ruwallah who are part of the 'Anizzah' tribe. Another famous branch of the Anizzah tribe is the two distinct groups of Hasana and S'baa who largely arrived from the Arabian peninsula in the 18th century. The Bedouin who remained in the Negev belonged to the Tiaha confederation as well as some smaller groups such as the 'Azazme and the Jahalin. After 1948, some Negev Bedouins were displaced. 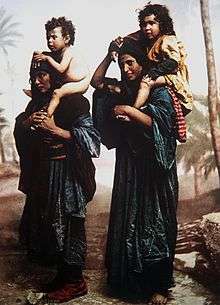 The Jahalin tribe, for instance, lived in the Tel Arad region of the Negev prior to the 1950s. In the early 1950s, the Jahalin were among the tribes that, according to Emmanuel Marks, "moved or were removed by the military government". They ended up in the so-called E1 area East of Jerusalem. Famously, Bedouin shepherds were the first to discover the Dead Sea Scrolls, a collection of Jewish texts from antiquity, in the Judean caves of Qumran in 1946. Of great religious, cultural, historical and linguistic significance, 972 texts were found over the following decade, many of whom were discovered by Bedouins. Successive Israeli administrations tried to demolish Bedouins villages in the Negev. Between 1967 and 1989, Israel built seven legal townships in the north-east of the Negev, with Tel as-Sabi or Tel Sheva the first. The largest, city of Rahat, has a population of over 58,700 (as of December 2013); as such it is the largest Bedouin settlement in the world. Another well known township out of the seven of them that the Israeli government built, is Hura. According to the Israel Land Administration (2007), some 60 per cent of the Negev Bedouin live in urban areas. The rest live in so-called unrecognized villages, which are not officially recognized by the state due to general planning issues and other political reasons. They were built chaotically without taking into consideration local infrastructure. These communities are scattered all over the Northern Negev and often are situated in inappropriate places, such as military fire zones, natural reserves, landfills, etc. On 29 September 2003, Israeli government adapted a new "Abu Basma Plan" (Resolution 881), according to which a new regional council was formed, unifying a number of unrecognized Bedouin settlements—Abu Basma Regional Council. This resolution also regarded the need to establish seven new Bedouin settlements in the Negev, literally meaning the official recognition of unrecognized settlements, providing them with a municipal status and consequently with all the basic services and infrastructure. 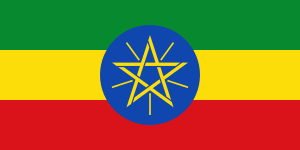 The council was established by the Interior Ministry on 28 January 2004. Israel is currently building or enlarging some 13 towns and cities in the Negev. According to the general planning, all of them will be fully equipped with the relevant infrastructure: schools, medical clinics, postal offices, etc. and they also will have electricity, running water and waste control. Several new industrial zones meant to fight unemployment are planned, some are already being constructed, like Idan haNegev in the suburbs of Rahat. It will have a hospital and a new campus inside. The Bedouins of Israel receive free education and medical services from the state. They are allotted child cash benefits, which has contributed to the high birthrate among the Bedouin (5% growth per year). But unemployment rate remains very high, and few obtain a high school degree (4%), and even fewer graduate from university (0.6%). In September 2011, the Israeli government approved a five-year economic development plan called the Prawer plan. One of its implications is a relocation of some 30.000-40.000 Negev Bedouin from areas not recognized by the government to government-approved townships. In a 2012 resolution the European Parliament called for the withdrawal of the Prawer plan and respect for the rights of the Bedouin people. In September 2014, Yair Shamir, who heads the Israeli government's ministerial committee on Bedouin resettlement arrangements, stated that the government was examining ways to lower the birthrate of the Bedouin community in order to improve its standard of living. Shamir claimed that without intervention, the Bedouin population could exceed half a million by 2035. Most of Jordan’s Bedouin live in the vast wasteland that extends east from the Desert Highway. The eastern Bedouin are camel breeders and herders, while the western Bedouin herd sheep and goats. 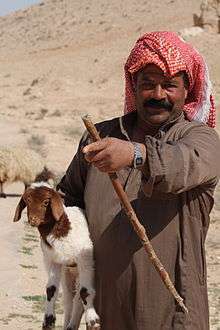 Some Bedouin in Jordan are semi-nomads, they adopt a nomadic existence during part of the year but return to their lands and homes in time to practice agriculture. The largest tribe in Jordan is Bani Hasan who lives in east, center, and south of the country. 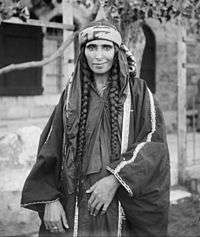 Bani Hasan tribe members are around 1 million people, they are famous as the 1 Million Tribe and they are considered as the most powerful tribe in the kingdom. The largest nomadic groups of Jordan are the Banū (Banī laith; they reside in Petra), baniṢakhr and Banū al-Ḥuwayṭāt (they reside in Wadi Rum). 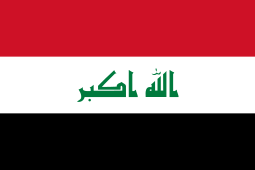 There are numerous lesser groups, such as the al-Sirḥān (they live near the Iraqi border on the north of Jordan), Banū Khālid, Hawazim, ʿAṭiyyah, and Sharafāt. The Ruwālah (Rwala) tribe, which is not indigenous, passes through Jordan in its yearly wandering from Syria to Saudi Arabia. In the 11th century, reigning over Ifriqiya, the Zirids somehow recognised the sovereignty of the caliph of Cairo. Probably in 1048, the ruler or viceroy Zirid, al-Mu'izz, decided to stop this sovereignty. The Fatimids were then powerless to lead a punitive expedition. In the 11th century, the Bedouin tribes of Banu Hilal and Banu Sulaym, who originated from Syria and North Arabia respectively, lived in a desert between the Nile and the Red Sea moved westward into the Maghreb areas and were joined by a third Bedouin tribe of Maqil, which had its roots in South Arabia. The vizier of the caliph of Cairo chose to let go of the Maghreb and obtained the agreement of his sovereign. 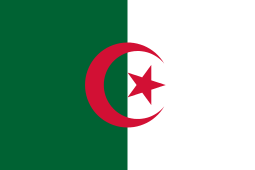 They set off with women, children, camping equipment, some stopping on the way, especially in Cyrenaica, where they are still one of the essential elements of the settlement, but most arrived in Ifriqiya by the Gabes region, Berber armies were defeated in trying to protect the walls of Kairouan. The Zirids abandoned Kairouan to take refuge on the coast where they survived for a century. Ifriqiya, the Banu Hilal and Banu Sulaym spread is on the high plains of Constantine where they gradually choked the Qal'a of Banu Hammad, as they had done Kairouan few decades ago. From there, they gradually gained the upper Algiers and Oran plains, some were taken to the Moulouya valley and in Doukkala plains by the Caliph of Marrakesh in the second half of the 12th century. 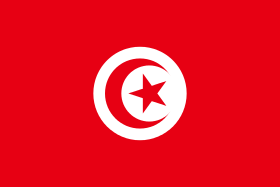 In the 13th century, they lived in all the Maghreb plains with the exception of the main mountain ranges and some coastal regions that served as refuges for the natives. They gave up their old trade breeder of camels to look after the care of the sheep and oxen. Ibn Khaldun, a Muslim Historian writes: "Similar to an army of locusts, they destroy everything in their path." In Morocco, Bedouin dialects are spoken in plains and in recently founded cities such as Casablanca. Thus, the dialect shares with the Bedouin dialects gal 'to say' (qala), they also represent the bulk of modern Urban dialects (Koinés), such as those of Oran and Algiers. Bedouins in Egypt mostly reside in the Sinai peninsula and in the suburbs of the Egyptian capital of Cairo. The past few decades have been difficult for traditional Bedouin culture due to changing surroundings and the establishment of new resort towns on the Red Sea coast, such as Sharm el-Sheikh. Bedouins in Egypt are facing a number of challenges: erosion of traditional values, unemployment, and various land issues. With urbanization and new education opportunities, Bedouins started to marry outside their tribe, a practice that once was completely inappropriate. 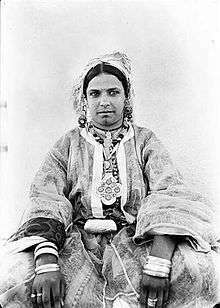 Banu Hilal, some tribes of this confederation are Bedouin, they live in western Morocco, central Algeria, southern Tunisia and Eastern Desert and others steppe of the region. 'Azazme, Negev desert and Egypt. Beni Aqeel, in Yemen, Iraq, Egypt, Oman, Algeria, Libya, Syria, Saudi Arabia and Sudan. al-Jaloudi (al-Jaludi) of al-Harb ("Goliath's Tribe" of "War Tribe"), one of the largest tribes in the Arabian Peninsula, mostly settled in Jordan, Saudi Arabia, Palestine, Syria and Iraq. The tribe has deep roots in the Umayyad and Abbassid dynasties. al-Hajaya, one of the largest well-known Bedouin tribes in Jordan. 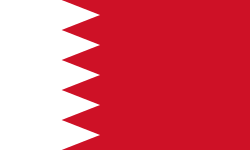 Descended from the tribe of Shammar (al-Qetraanah, Muhai, al-Hamdiya, al-Abyadh, al-Jurf, al-Saddeh and al-Hesa). 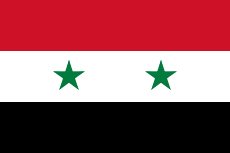 Shammar, a very large and influential tribe in Iraq, Saudi Arabia, Syria, and Jordan. Descended from the ancient tribe of Tayy from Najd. 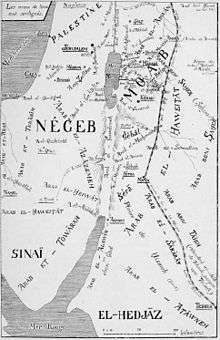 Tarabin—one of the largest tribes in Egypt (Sinai) and Israel (Negev). They include many families like al-Sanea'. Tuba-Zangariyye, Israel near the Jordan river cliff in the Eastern Galilee. ↑ "Despite hardships, some Bedouins still feel obligation to serve Israel". Jewish Telegraphic Agency. 2012-08-20. Retrieved 19 October 2015. ↑ "Bedouins in migration". Retrieved 19 October 2016. 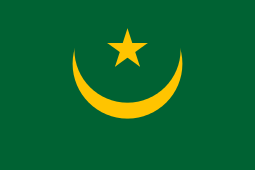 1 2 3 "Libya". Retrieved 19 October 2015. ↑ "Google Translate". Retrieved 19 October 2015. ↑ Steven E. Sidebotham; Martin Hense; Hendrikje M. Nouwens (2008). The Red Land: The Illustrated Archaeology of Egypt's Eastern Desert. American Univ in Cairo Press. p. 257. ISBN 978-977-416-094-3. Retrieved 1 November 2012. ↑ "OneWorld Magazine: Deserts". Retrieved 19 October 2015. ↑ Emanuel Marx. "Ecology and politics of Middle Eastern politics". In Weissleder, Wolfgang. The Nomadic alternative: Modes and models of interaction in the African-Asian deserts and steppes. Moulton. p. 59. ISBN 978-0202900537. Retrieved 23 November 2016. ↑ Naguib, Nefissa (2009). Women, Water and Memory: Recasting Lives in Palestine. Brill. p. 79. ISBN 978-9004167780. Retrieved 23 November 2016. ↑ Meisami, Julie Scott; Starkey, Paul. Encyclopedia of Arabic Literature. Routledge. p. 147. ISBN 978-0415571135. ↑ Holes, Clive (2004). Modern Arabic: Structures, Functions and Varieties. Washington DC: Georgetown University Press. p. 12. ↑ Kurt Goering (Autumn 1979). "Israel and the Bedouin of the Negev". Journal of Palestine Studies. 9 (1): 3–20. doi:10.1525/jps.1979.9.1.00p0173n. ↑ Laura Etheredge, Syria, Lebanon and Jordan, page 12. ↑ "The Bedouin of Cyrenaica". Retrieved 19 October 2015. ↑ "Bedouin, Settlers, and Holiday-makers". Retrieved 19 October 2015. ↑ "Bedouin hospitality & the beauty of the White Desert". Natalie Peart - Part of this World. Retrieved 19 October 2015. ↑ "Falconry". Retrieved 19 October 2015. ↑ Reuters (22 May 2013). "Falconry in the desert". chicagotribune.com. Retrieved 19 October 2015. ↑ "Indigenous Peoples of the World: The Bedouin". Intercontinental Cry. Retrieved 19 October 2015. ↑ Khalidi, Walid (Ed.) (1992) All That Remains. The Palestinian Villages Occupied and Depopulated by Israel in 1948. IoPS, Washington. ISBN 0-88728-224-5. Page 582. ↑ Lustick, Ian (1980). Arabs in the Jewish State. Austin: University of Texas Press. pp. 57, 134–6. ↑ Marks, Emmanuel (1974). Bedouin Society in the Negev (in Hebrew). Tel Aviv: Rashafim. p. 17. ↑ "Population and Density per Sq. Km. In Localities Numbering 5,000 Residents and More on 31 XII 2013(1)" (PDF). Israel Central Bureau of Statistics. ↑ Bedouin of the Negev Archived 14 May 2011 at the Wayback Machine. ↑ Joshua Project. 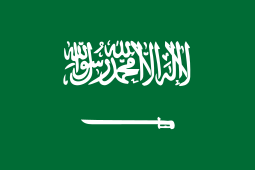 "Arab, Bedouin in Saudi Arabia". Retrieved 19 October 2015. ↑ Guardian, 3 November 2011, Bedouin's plight: "We want to maintain our traditions. But it's a dream here"
↑ Jack Khoury,'European Parliament condemns Israel's policy toward Bedouin population,' at Haaretz, 8 July 2013.:The European Parliament Calls for the protection of the Bedouin communities of the West Bank and in the Negev, and for Israeli authorities to respect their rights and condemns any violations (e.g., house demolitions, forced displacements, and public service limitations). It calls also, in this context, for the withdrawal of the Prawer Plan by the Israeli Government. ↑ "Minister: Israel Looking at Ways to Lower Bedouin Birthrate". Haaretz.com. Retrieved 19 October 2015. ↑ "To up Bedouin living standards, minister tackles birth rate". The Times of Israel. Retrieved 19 October 2015. ↑ "Bedouin Culture in Jordan". Retrieved 19 October 2015. ↑ Daniel Noll. "Life Lessons We Learned from Jordan's Bedouins". Uncornered Market. Retrieved 19 October 2015. ↑ "Brenda's Jordan". Retrieved 19 October 2015. ↑ "Jordan profile - Leaders". BBC News. Retrieved 19 October 2015. ↑ "The People of Jordan". Retrieved 19 October 2015. ↑ "Map of the Bedouin tribes of Jordan". Retrieved 19 October 2015. ↑ "François Decret, Les invasions hilaliennes en Ifrîqiya - Clio - Voyage Culturel". www.clio.fr. Retrieved 2015-11-21. ↑ Konstantin Abercron. "Sinai Beduines". Retrieved 19 October 2015. 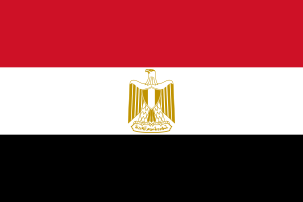 ↑ "Egypt Halts Sinai Anti-terror Campaign, Will Open Talks With Bedouin". Haaretz.com. Retrieved 19 October 2015. 1 2 "The Arabic Language". Retrieved 19 October 2015. Wikimedia Commons has media related to Bedouins. Wikisource has the text of The New Student's Reference Work article Bedouins.